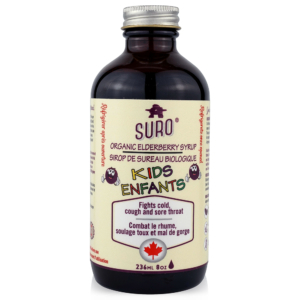 Fight colds, flu, cough and sore throat with SURO® syrup. 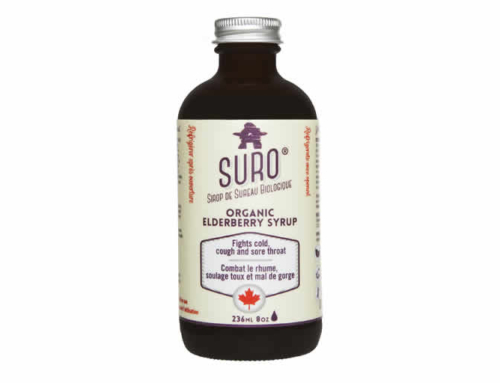 Physician-formulated, each dose of adult syrup contains over 3,000mg of elderberry, has zero water and is fructose-free.Traditionally used in herbal medicine to help fight colds, SORE throat, cough and fever. 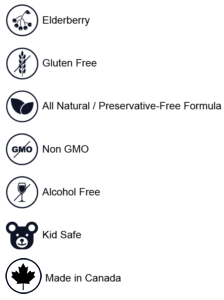 Consult a health practitioner if symptoms persist. Traditionally used in herbal medicine to help fight colds and relieve SORE throats, cough and fever. Consult a health care practitioner prior to use if you are allergic to bee products, poplar tree products, or balsam of Peru. Consult a health care practitioner if symptoms persist.This syrup contains honey and other apiarian products. It is not recommended for people who are allergic to such products, or children under one year of age. A hypersensitivity (e.g., ALLERGY) may manifest, if so, stop using.